A posthumous compilation of this award-winning and best-selling writer and journalist’s seminal, historic interviews. 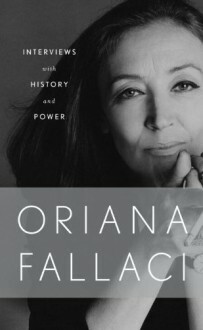 Oriana Fallaci was granted access to countless world leaders and politicians throughout her remarkable career. Considering herself a writer rather than a journalist, she was never shy about sharing her opinions of her interview subjects. Her most memorable interviews—some translated into English for the first time—appear in this collection, including those with Ariel Sharon, Yassir Arafat, the former Shah of Iran, Lech Walesa, the Dalai Lama, Robert Kennedy, and many others. Also featured is the famous 1972 interview in which she succeeded in getting Henry Kissinger to call Vietnam a "useless war" and to describe himself as "a cowboy." To this day he calls the Fallaci interview "the most disastrous conversation I ever had with the press."